Improbable Projects is an innovation consultancy. They use a structured and reliable innovation process to help their clients develop exciting, enjoyable and engaging consumer experiences quickly and reliably. 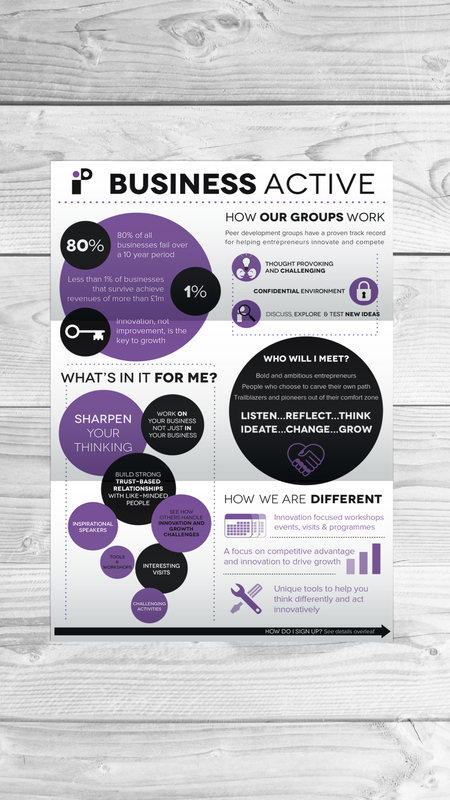 As part of their core offering they have started a peer advisory group called Business Active, helping business owners use innovation to achieve competitive advantage and drive rapid growth. 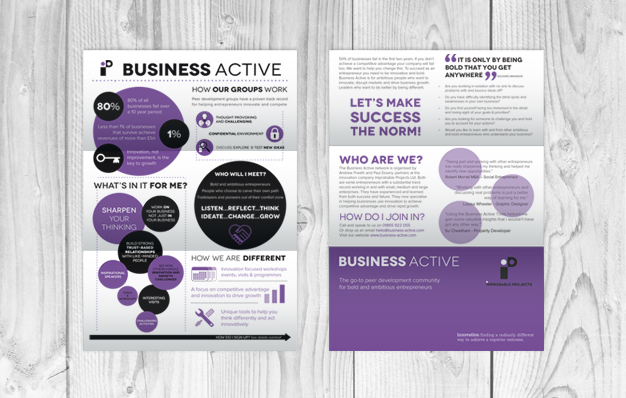 After designing their logo and business cards, Ilona Design were approached with the outlines of a brochure and asked to make the contents look easy to digest and interesting to look at. We suggested an infographic leaflet with images and text on the inside and core information on the outside. The result was a visually engaging, fun and informative infographic leaflet with careful placement of brand colour and bold, clear text.